Do you ever read a book and get so MAD when it ends? That’s this book, for me. I got so entangled in the story, the romance and the fighting and all that came in between- And then, it ended, and I needed MORE, and I was so ANGRY- (I may or may not have thrown the book at my wall when it ended because I just needed MORE and there wasn’t any-) That’s the major downside to reading advanced readers copies, you have to wait even longer for the sequel… And I’m telling you, I’ll be right there to pick up the second one when it does come out. 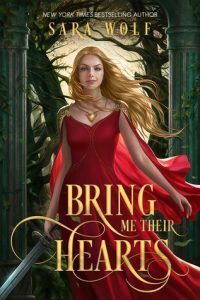 I fell in love with the world by the midway point, with Zera, the main character, in just a few pages- And I was shipping her and the prince to the very end, and I still do, and oh GOD I just have to know what comes next! It’s been a while since I’ve found a book that moves me quite this way, but this one really, really does.I was crying by the end, even. I’m glad I picked this up. Teen Reviews presents book reviews by teens in Mesa County. Don’t be surprised if you can’t find some of these books at the library or in stores: teens who attend Teen Book Club on Wednesdays at 4:00 at the Central Library have access to books before they are officially published. Posted in Reviews and Recommendations, Teen Reviews, Teens.